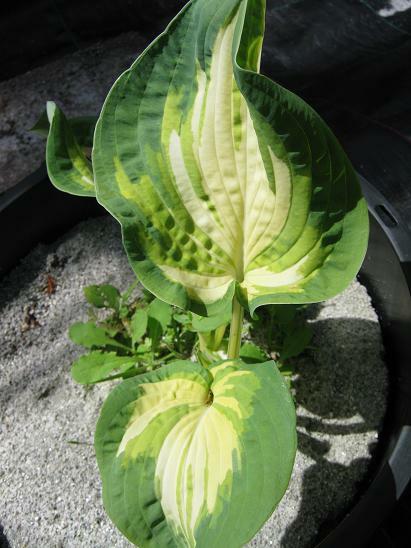 This striking cultivar is a splendid addition to the range of large leaved Hostas with yellow centred leaves. 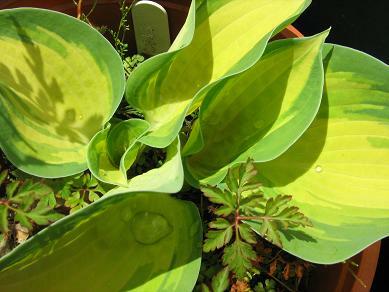 They are rather prone to slug damage in early summer. 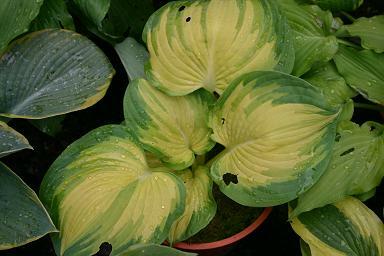 It has rather thin leaves, which allow it an almost luminous yellow colour, but makes it easier for slugs to eat.